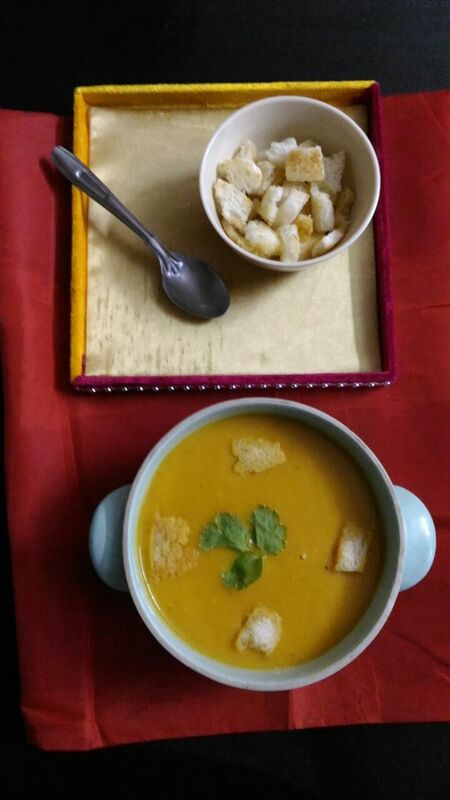 Soups are always nourishing and healthy. It will be comforting and filling. The flavour and taste of the soup will depend on the vegetables you add.For this simple recipe of vegetable soup I have added few vegetables but you can increase or decrease the amount you want,you can use the veggies of your choice. 1.In a pressure pan first put 2 tbs of butter or oil. Add onions and saute for few minutes. 3.After few minutes add all the cut veggies and saute for few minutes. 4.Then add enough water and close the lid.Also can add 1/2 a TSP of sugar. 6.When cool put it in a blender till it is smooth. 7. Now can add pepper and salt. 8. If you transfer it to the pressure pan and boil for few minutes itvwill blend well. 9.Serve hot with fried bread crumbs. This is a thick cremy soup. I have already given the recipe for left over curry. (PAZHANG CURRY).Now I thought of sharing this simple and easy recipe with left over idlis or even can make a batch of fresh idlis cool it and then prepare it.It is very common in South India. *Crumbled Idli from 5 to 6 Idlis. *Big Onion- 2 or 3but if you use Shallots it will be more tastier. *Green Chillies -2 to 3 or can use both green and red chillies. 1.Crumble the idlis with your hand.Or put in mixer just whip it once.If you have made fresh batch allow it cool and then crumble. 2.Heat 2 to 3 tbs. of oil in a kadai. (sesame oil will be best). 3.Add mustard seeds when it splutters add urad dhal green cllies, onion and curry leaves. 4. Now addcrumbled idlis and check for salt if needed add salt. Vazhaithandu refers to banana stem or plantain stem.It is very healthy.There are lots of benefits if we eat banana stem.It is very effective against kidney stones. Provides relief for constipation.It is enriched with iron and Vit. B6. 1.First remove the skin that is outer ring of banana stem. 2.There are two ways to cut the stem.One cut in circles to remove the extra fibre. The other one is to chop the banana stem and soak it in curd and I’d you immerse a sticker a handle of the spoon into the curd mixture and circulate it the extra fibre will come in the spoon. 3. Soak the chopped pieces in buttermilk or lemon juice to retain its color. Two ways for preparing the salad. One can eat this as a raw salad. The other way is to cook the chopped banana stem in buttermilk for few minutes. Then add the seasoning to it. Can grind green chillies in 2 tbs coconut scrapings and mix in raitha. 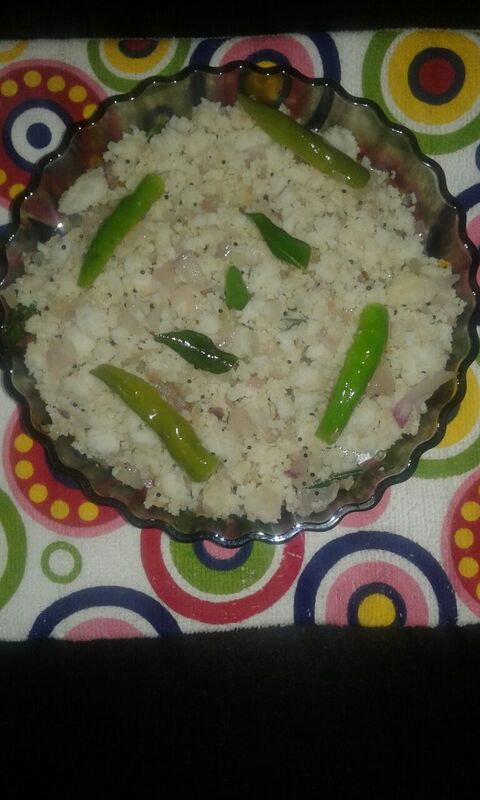 An easy traditional also a healthy recipe.This is a simple and easy quick side dish that can be had with rice.Best for sambar,rasam and even curd rice. *Red chillies_2 or 3 accdg. to taste. 1.Wash the Greens thoroughly and chop finely. 3.In a kadai pour 2 or 3tbs. of oil add mustard seeds when it splutters add urad dhal.Add red chillies after frying and chopped onions and fry till soft. 4.Now add chopped greens and required amount of salt. 6.When cooked add coconut scrapings to it.Mix well. 7.Serve as side dish for rice. 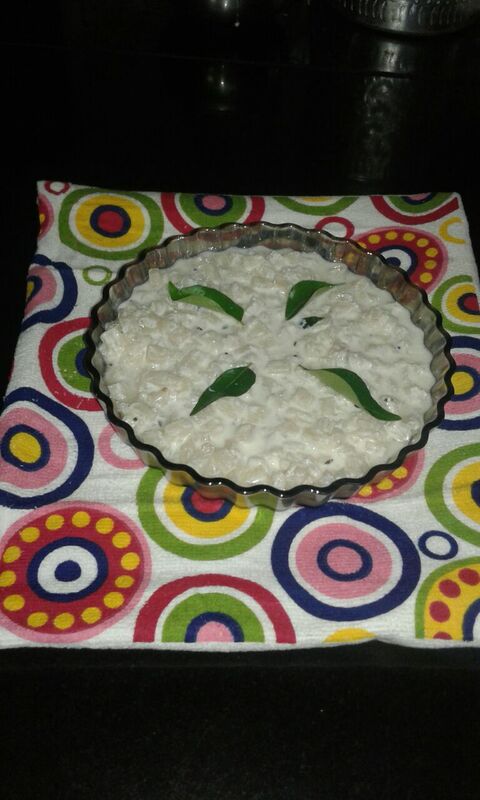 1.Spinach or mulai keerai can be used. 2.Can use 1/2 TSP sugar to greens to retain its color. 3.While adding chopped onions chopped garlic too can be added to enhance its flavour. 1.Apply coconut oil on lime to retain its freshness for more days. 2.For Ven Pongal/Kara Pongal instead of adding whole pepper fry pepper powder in ghee with cumin seeds it enhances the flavour also children will not remove pepper from Pongal. 3.For extracting thick coconut milk immerse coconut scrapings in hot water and then if we extract we get thick milk. 4. To remove excess water from vada batter can add powdered bread to it then mix it and prepare vada. Chappathi will be very soft.